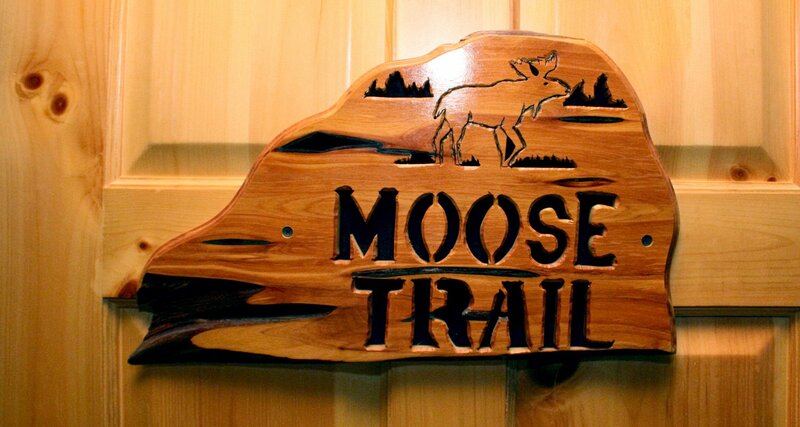 The Moose Trail features a king bed with a sitting area and deck access with a lake view. 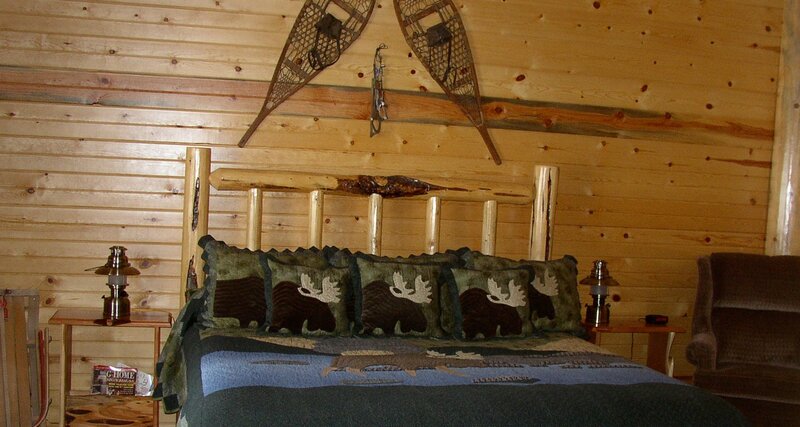 The quilt on the bed is hand stitched and highlights the moose decor in the room. 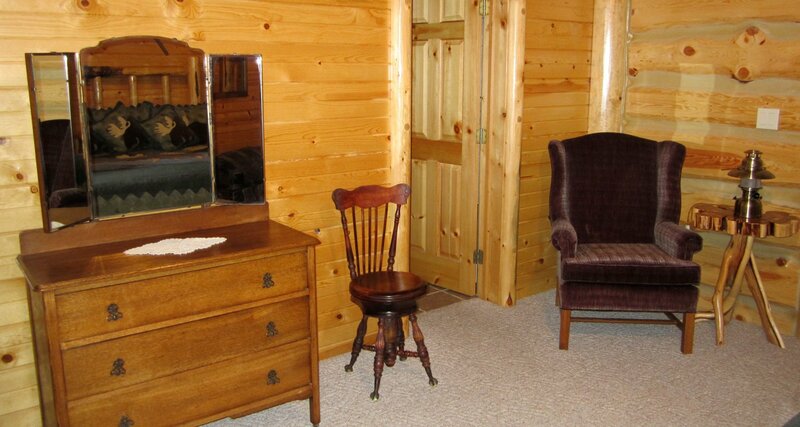 The room has a private bath and sitting area. All of our rooms have access to the huge wrap around deck.